This was the first time anything of this nature had happened to me. I am not involved in law enforcement, and have no expertise in these matters. There was nothing I could do for Ann. To be contacted by someone in such a bad situation, who thought I could help her somehow—where I was actually powerless—was quite a disheartening experience. About this time, you may be asking yourself the same things that I did after I read the email: “Why did Ann reach out to me? And how did she get my email address? Why did she think I have anything to do with this sort of thing, or that I could help her in any way?” Ann did not make any of that clear and was not specific as to what she expected me to be able to do for her. Bingo! The top three search hits are all my handiwork. 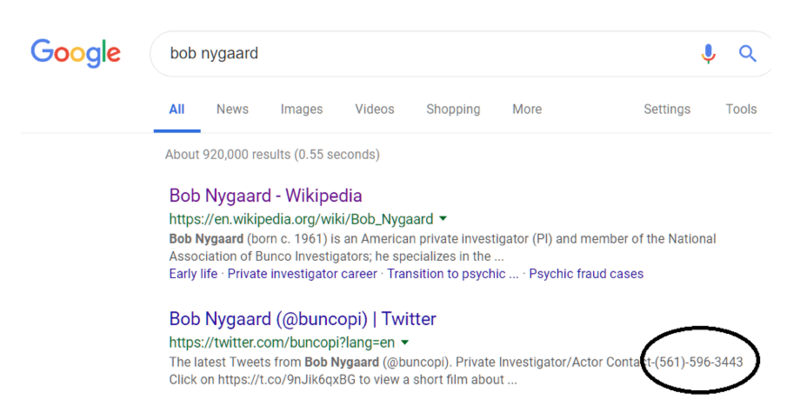 (I also wrote the Wikipedia article about Nygaard before I interviewed him for Skeptical Inquirer.) 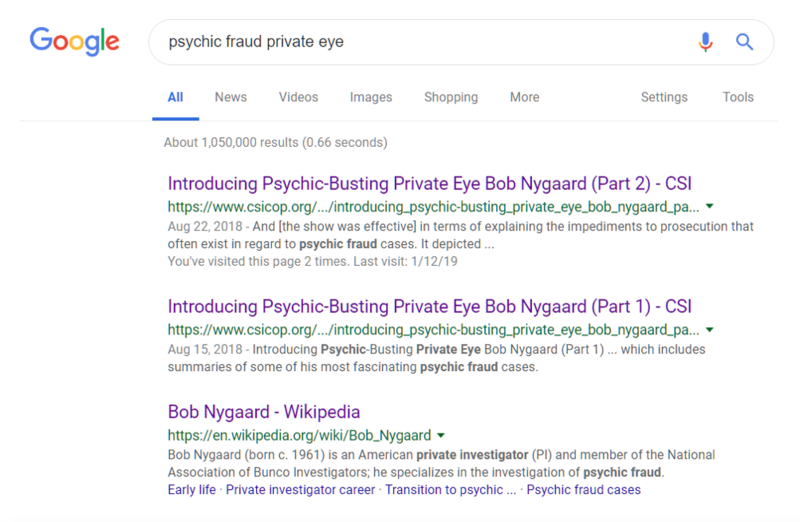 The phrases psychic fraud and private eye were both used extensively in all three articles, and my name and email address are available from the SI articles. The top two hits are Nygaard’s Wikipedia article and his Twitter account. Both contain Nygaard’s contact information. In any case, the one thing I could do was put Ann in touch with Nygaard, so I wrote a sympathetic reply, and gave her Bob’s contact information. I also contacted Nygaard to give him a heads up. Sadly, Bob informed me that he averages four or five calls or emails like this every day. The odds of him having the time to take Ann’s case were not good, and there is apparently no one else who specializes in this type of fraud work. But I did what I could. You might ask why a victim such as Ann needs to hire a private eye in the first place. She had put her trust in someone who had conned her out of a huge sum of money. Then, after realizing she had been scammed, she had gone to the proper authorities and asked for the woman to be prosecuted. Fraud is a crime—psychic or otherwise—isn’t it? That should be all Ann needs to do. Right? In a perfect world, maybe. But in our reality, when someone reports to law enforcement that they are a victim of this type of fraud, they are often turned away and told it is a civil matter. The attitude is that “You gave away your money of your own free will. No one put a gun to your head. There is no crime here.” Nygaard told me after he contacted Ann that this is exactly what happened to her. 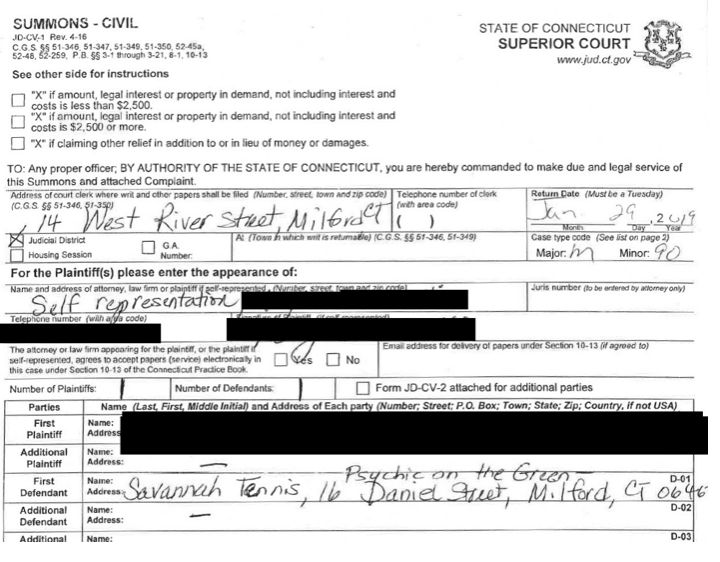 The authorities told her there would be no arrest and prosecution, and to obtain justice her only recourse was to sue the psychic in a civil case. 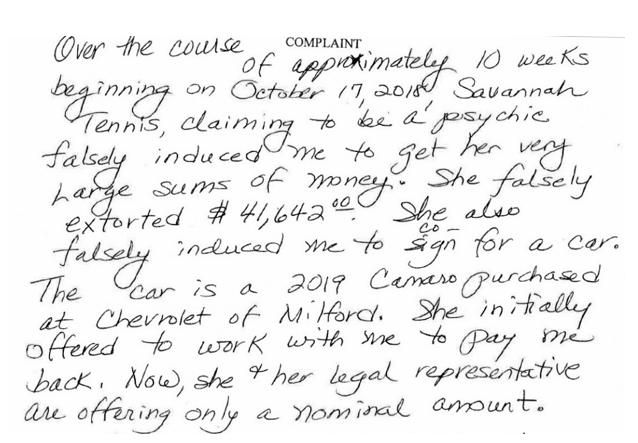 The fact that these cases are rarely prosecuted as crimes is one reason it is always open season on the psychics’ victims. Psychics know they can usually avoid arrest and prosecution. Even when threatened with a trial or lawsuit, the worst that usually happens is they are forced to return the ill-gotten gains from the one specific victim who filed a complaint. They are then free to continue practicing their craft, like vampires on the prowl for a new supply of rich blood. I have to ask: What if the only punishment for robbery was to have the thief give back the goods that they were caught red-handed with one particular time? Not a powerful incentive to go straight! According to Nygaard, the likelihood of getting jail time if you commit a crime of this nature is very low. The number of people who fall victim to these con artists, and cannot obtain justice for one reason or another, must be staggering. How much money is lost to these criminals? Consider just the small subset of victims who contacted Nygaard over a period of about ten years, which he took on as clients and for which he initiated a successful prosecution. In total, this amounts to over three million dollars. Keep in mind that this was for just one set of prosecutions over the span of a single decade. Attempting to extrapolate this staggering sum to the total amount of money lost and never recovered by all victims of psychic fraud is beyond my capabilities. Some individual losses are relatively small—though perhaps not to the victim—but some are huge by anyone’s standards. Nygaard is familiar with one individual case concerning $15 million in unrecovered losses. It is not only uneducated people who become the victims of this crime. According to Nygaard, these con artists are experts at psychological manipulation, and having an advanced education does not inoculate one from falling for their well-practiced scams. Nygaard says that he gets calls from people like lawyers, medical doctors, CEOs, and college professors. They tell him their horror stories, but sometimes feel the nature of these crimes is too humiliating to bring to light. Someone can feel their reputation is worth more than the hundreds of thousands of dollars, or more, out of which they were defrauded, so they don’t pursue justice. Don’t assume psychics are unaware of this bit of psychology. So from where is this pool of victims obtained? How are there so many people who can be convinced to turn over huge sums to a psychic? In a 2018 Pew Poll of Americans, 41 percent of respondents said they believe in psychics. Never mind a pool of victims … this is a veritable ocean from which these con artists can fish for their victims. In addition to the age-old impact of religion on such beliefs, I place much blame squarely on psychic themed “reality” TV shows and on the entertainment outlets which create this drivel. I’m talking about the TV shows portraying mediumship totally credulously. Among the long list of offenders are The Hollywood Medium with Tyler Henry (on E! ), Monica the Medium (on ABC Family), Long Island Medium (on TLC), and Seatbelt Psychic (on Lifetime). By the way, how is William not prosecuted for practicing medicine without a license? And why is Paltrow not charged with something (being complicit in medical malpractice perhaps) for promoting his paranormal medical services? So, add up all this media influence, and you get the average person thinking: “Hey, Gina Marks in that little corner store-front place down the street, who advertises a first reading for free, is surely legit. What’s the harm if I check her out? Hey, it’s free!” If only the true believers would seek out the truth, instead of just accepting as fact what they see portrayed on these TV shows. There are counterpoints to the “psychics are real” mantra easily available to anyone looking … if they would only look. (One example is this video which brilliantly exposes the cold-reading techniques used in live-audience psychic readings.) And every well-known psychic medium has a Wikipedia article that includes a collection of damning criticism that should convince everyone except (perhaps) the medium’s own mother what is going on. See for example Tyler Henry, Monica the Medium, Long Island Medium, and Thomas John. Gerbic also did an in-depth analysis of John’s Seatbelt Psychic Lifetime show and reported that the “unsuspecting” riders given readings by John on the show are actually actors. All this is now documented in Thomas John’s Wikipedia article and is a Google search away for anyone looking to check him out. But these types of psychic takedowns do not happen frequently enough to counter the B.S. spewed to the public from seemingly everywhere. And those who have already been convinced to believe do not generally look for evidence that would negate their strongly held beliefs. Anecdotally, I fail miserably whenever I try to provide disconfirming information to a true believer. They will not generally even look at it because they know I am wrong … because they have seen it on TV. So back to the victims like Ann. Not all psychics take large sums from individual victims, but enough of them do to keep Nygaard busy full time for the rest of his working life. As he says, his clients are just “the tip of a huge iceberg.” And it’s an ever-growing iceberg, composed of financially shattered victims. Believers tell me that a percent of everyone in any profession—even doctors—are bad apples, so exposing bad mediums doesn’t prove they all are con artists. True enough. I will even grant that some percent of people claiming psychic powers may be self-deluded, want to help people, and are not running (intentional) cons. Self-delusion is a powerful thing. 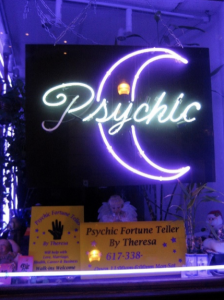 This subset of psychics may actually believe they are helping people, take only nominal payment for their “services,” and have no intent to extract huge sums from clients, up to an including bankrupting them. So, what’s the harm in assuming someone may have paranormal powers and could help you? Well, you need to go to a medical doctor on occasion. And we know medicine is real and often necessary. The difference is that psychic powers are not. There is absolutely no reason to take a chance on a psychic. Believing that someone has these powers—when no one does—leaves oneself open to a disastrous con, for no good reason. Because, did I mention that No One Can Do This? How can we skeptics claim this with any assurance? The short answer is that we know the tricks that are used, and we know that no one has demonstrated such powers under controlled conditions (i.e., conditions that remove the possibility of deception). If anyone could demonstrate such powers conclusively, in the long history of such claims, wouldn’t someone have by now? Besides the (only recently defunct) One Million Dollar Paranormal Challenge (which many have taken, but none have won) there are a plethora of other smaller prizes. A true believer told me that “real psychics have nothing to prove or gain from winning such a challenge.” Really? How about turning modern physics on its head and winning a Nobel Prize? How about proving once and for all to everyone that there really is an afterlife? If they don’t need the prize money, then donate it to a charity or cancer research. What a pathetic excuse! To summarize: despite the persistent lack of confirming proof, and despite all evidence to the contrary, the ubiquitous psychic-powers reporting in the media collectively reinforces the average person’s belief that this imaginary phenomenon is real. This contributes, at least in part, to convincing people that a psychic can help solve their problems. This needlessly exposes them to the possibility of destructive, unrecoverable financial loss at the hands of con artists who are masters of psychological manipulation. It seems apparent that any and all media outlets perpetuating the public’s belief in psychic powers have substantial bloodstains all over their hands.